Can 72andSunny Convince Brands That Good Works Will Drive Sales? 72andSunny is launching a new brand citizenship practice that aims to tie good works to marketers' bottom-line results. Nonprofit veteran Jim Moriarty is heading the effort after serving nearly 10 years as chief of the San Clemente, Calif.-based Surfrider Foundation, which he helped build into the largest nonprofit devoted to coastal protection. Equally important to the MDC Partners agency is Moriarty's background as a tech entrepreneur and marketer whose business experience includes a post as vp, marketing at SAP. 72andSunny's move leans into the trend of brands (and their agencies) embracing larger causes in the name of corporate social responsibility. Some agencies do this piece meal (think Droga5 and its Tap Project for Unicef), while others have units devoted to it. And then there are entire agencies like Galewill Design and Fearless—Alex Bogusky's latest venture—that specialize in this type of marketing. 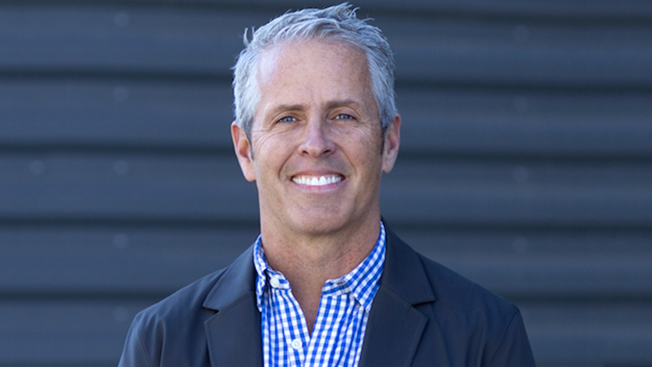 John Boiler, 72andSunny's CEO, underscored the need for brand citizenship practices to be hard-wired into a company's sales goals. "This has traditionally been embedded into CSR [corporate social responsibility] or the CEO's pet projects," he said. "We have this opportunity with a new audience, millennials, who have a deeper, more meaningful relationship with brands. How does this drive growth? If you don't have it plugged into the financial engine of your company, it's going to be the first thing that gets cut." Launching the practice formalizes the kind of work 72andSunny has been doing for socially-minded brands. It's the agency behind the Legacy Foundation's "Truth" campaign to end smoking, Benetton's "Unhate" campaign and Google's "Made With Code" push to get girls involved in coding. Boiler emphasized the need for marketers to make long-term commitments to such programs after identifying sustainable products and services that fit with their brands. "Green-wash" or "pink-wash" one-offs don't do much good and risk cynical responses from consumers, he said. 72andSunny's new brand citizenship initiative will be embedded within each agency brand team and baked into larger marketing programs. "Jim's not a free-standing silo. He'll use the same agency brand people we use, bring the same brand insights they use, whether it's [clients like] Samsung or Tillamook," Boiler explained. Moriarty said his decision to move out of the nonprofit space and into the agency world comes down to scale and cultural relevance with a digitally connected consumer, of any age, who has taken on the same interest in the social causes once considered to be the purview of just millennials. He said that while there are 2 million nonprofits in the U.S., they're not building scale. Marketers, on the other hand, continually scale their business but don't know how to implement good works. "The piece that was missing in all of this is the connection to culture, which is where 72andSunny is at," Moriarty said. "We have ideas and the purpose of causes, the scale of business and a connection to culture."